Dashboard reports can be customised for each CiviCRM user, they can show upcoming cases or events, scheduled activities and much more. 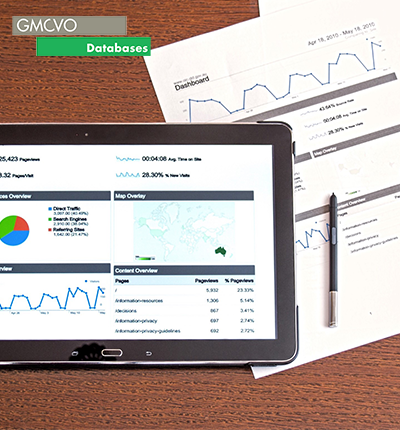 In order to configure these you must first set up your report and ensure that this is set to be available on your dashboard (get in touch if you need help with this). 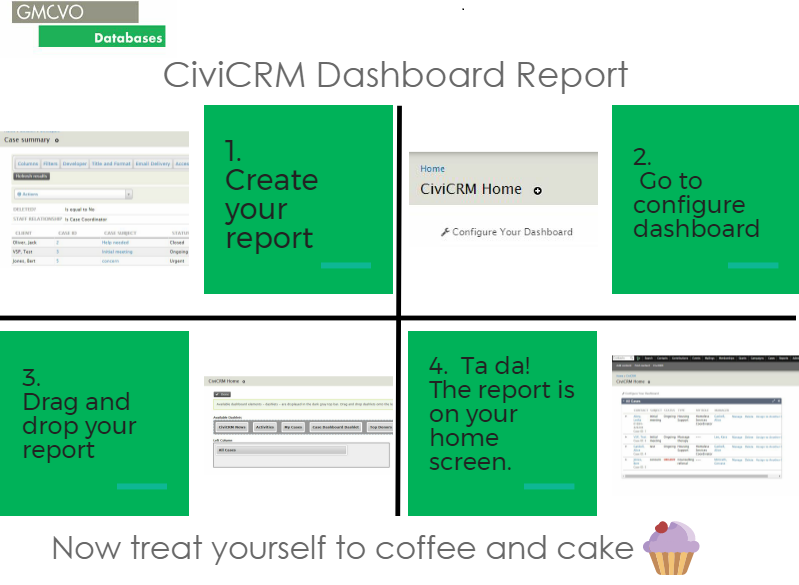 Once your report is saved, go to CiviCRM Home and select 'Configure Your Dashboard'. All reports that are set to being available as a dashlet will be present. Simply drag and drop the reports you want to see and then save. Now every time you visit the home page you will be greeted by up to date reports.